Properly set the new Night Shift settings in macOS Sierra 10.12.4 and get a good night’s sleep. Night Shift is the major new feature in macOS Sierra 10.12.4. Let’s take a look at what Night Shift does, and how you can adjust it to best suit your Mac habits. Night Shift was first introduced in iOS 9.3. It’s a setting that adjusts your display’s colors when it’s night time. 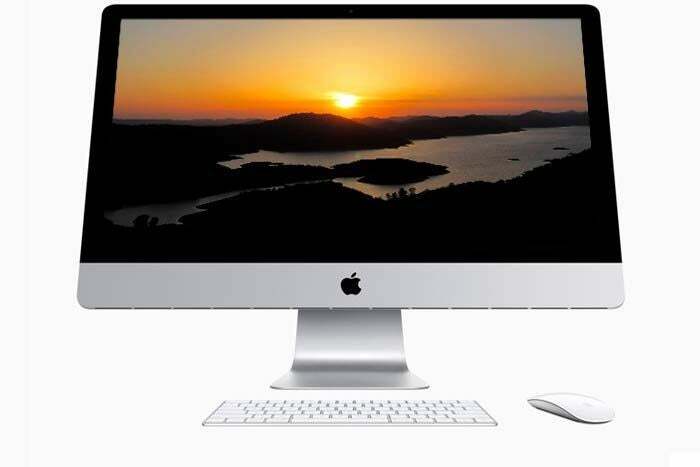 When the sun sets, your Mac’s display will use less blue light, creating a picture that’s “warmer.” You’ll notice a yellowish cast on the screen. Apple says many studies show that the blue light usually used by displays can affect your circadian rhythms and your sleep pattern. When you use Night Shift, the warmer colors aren’t as harsh on your eyes and better for your circadian rhythms. Whether this holds true for you or not, you now at least have the option to use Night Shift. 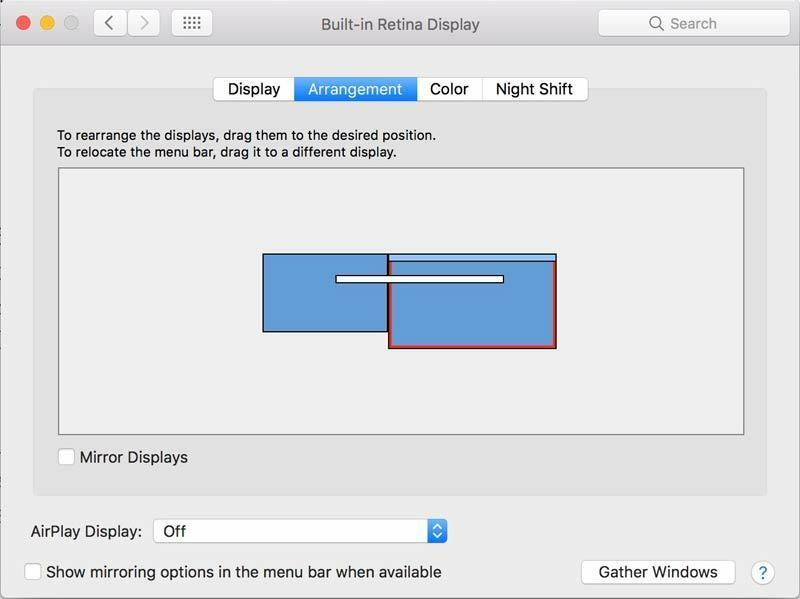 If you have multiple displays, Night Shift works only on the display that you use as your primary display. If you don’t see the Night Shift option for the display you want, you need to make it the primary. Here’s how to set your primary display. Click on the Arrangement tab in the Displays system preference. Click on the menu bar and drag it to the desired display. 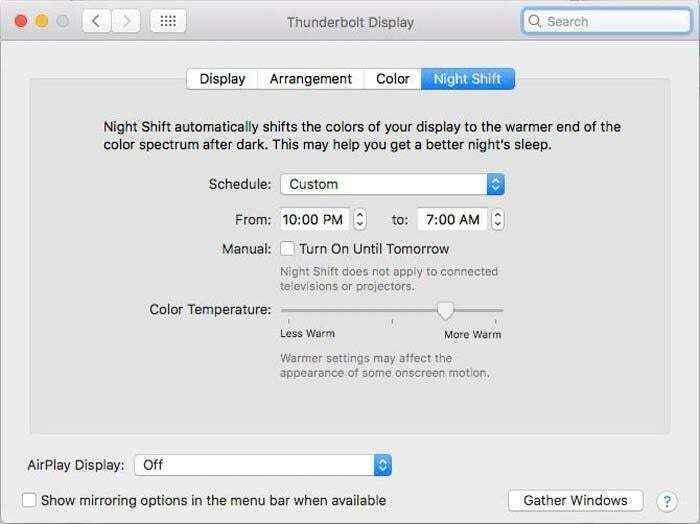 Night Shift works with connected displays, such as Apple’s Thunderbolt Display. It does not work with projectors or televisions. 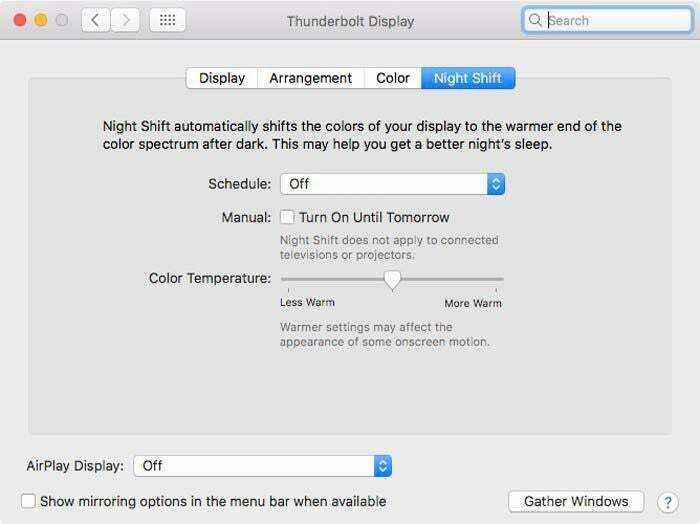 Night Shift is part of the Display system preference. Here’s how to turn it on. Click on the Night Shift tab, which will be on the far right. Custom: You can enter a time range when you want Night Shift to sctivate. The default is 10 p.m. to 7 a.m.
Sunset to Sunrise: Night Shift changes the color temperature based on the time of sunset and sunrise in your area. With the Off and Custom settings, you have a manual option that activates Night Shift immediately. Check the box for Turn On Until Tomorrow and Night Shift switches to the warmer color space, regardless of the current time of day. It will switch back to the blue color space after 24 hours. With the Sunrise to Sunset setting, there is also a manual option that activates Night Shift immediately, but this setting switches the color space back at sunrise. Within the Off, Custom, and Sunset to Sunrise settings is a slider for color temperature. You can set Night Shift to be Less Warm or More Warm. When you slide towards Less Warm, more blue light is used. Sslide towards More Warm and less blue light is used. You’ll see a preview of when your screen looks like as you slide.